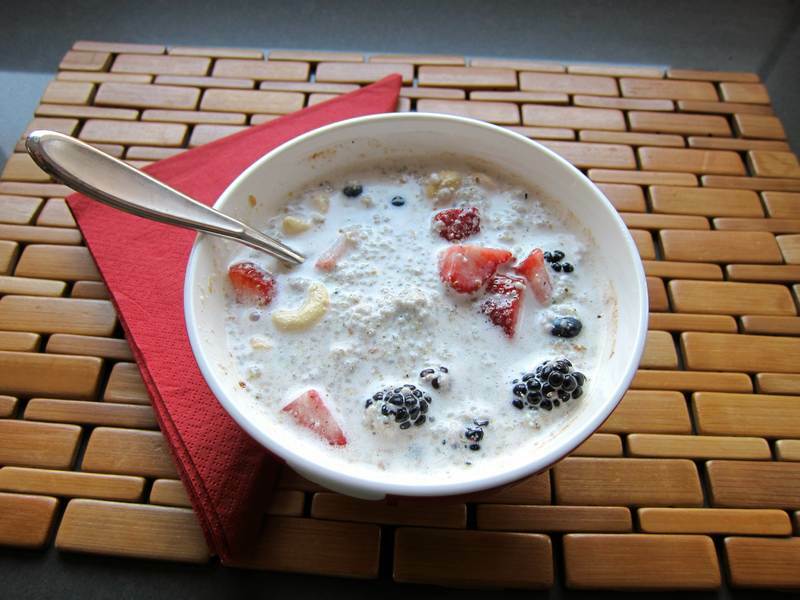 Chia Seed Porridge – Breakfast in minutes! You’ve tried having a Chia pet. Now try Chia Porridge. No kidding. This recipe makes 2 portions and can be kept in the refrigerator to be consumed the following day. I can personally vouch for feeling satiated and full of energy all morning. It makes a light, but satisfying breakfast. Keep it in mind for hiking or camping forays as these foods do well without refrigeration for a while. 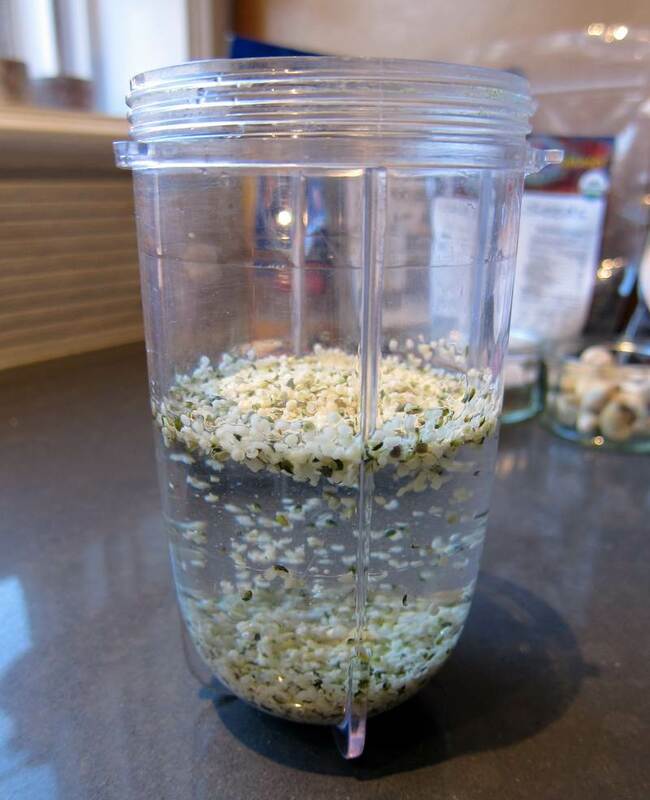 To make hemp milk, blend the water and the hemp seeds in a blender or a magic bullet for about 20 seconds. 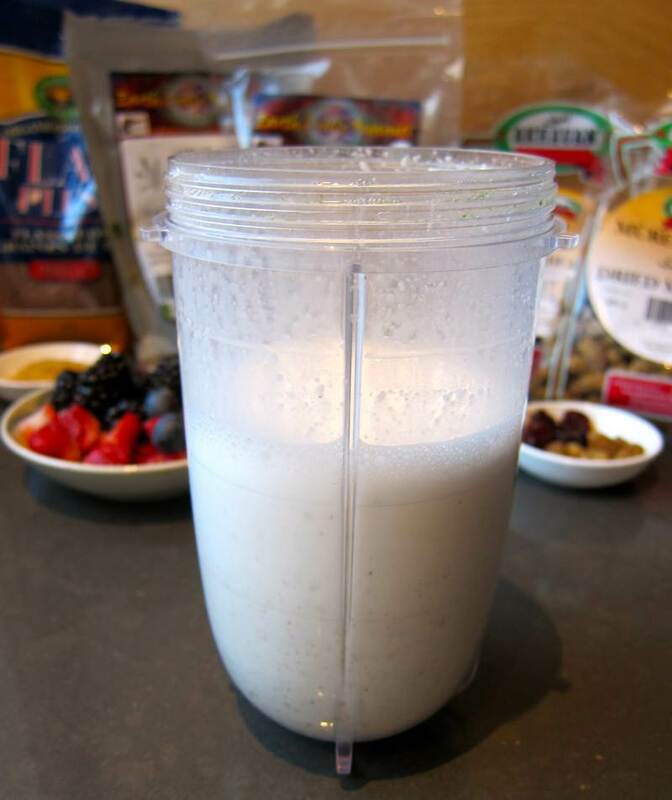 Pour the hemp milk into a small mixing bowl. Add the chia seeds, wait 2 minutes, mix, wait 2 more minutes then mix again. Add all other ingredients, tasting for sweetness to see if maple syrup is needed. I find it sweet enough with the fresh and dried fruit. Thanks to my brother Eric for giving me this recipe, demonstrating how easy it is to make and for being a nutritional watchdog. He manages to eat healthy and always considers what’s best for the environment. Recipe tasted and looked best after resting for 30 minutes. 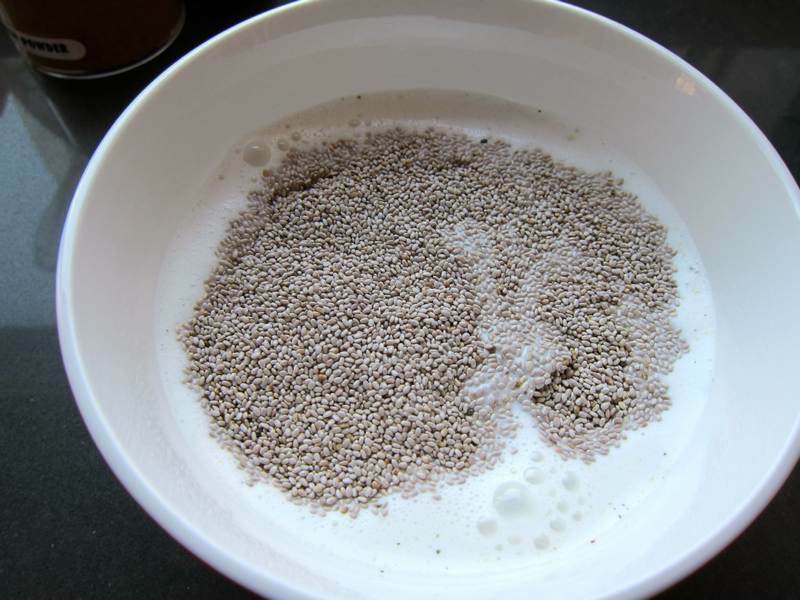 The chia seeds continue to expand and make the texture more like traditional porridge. 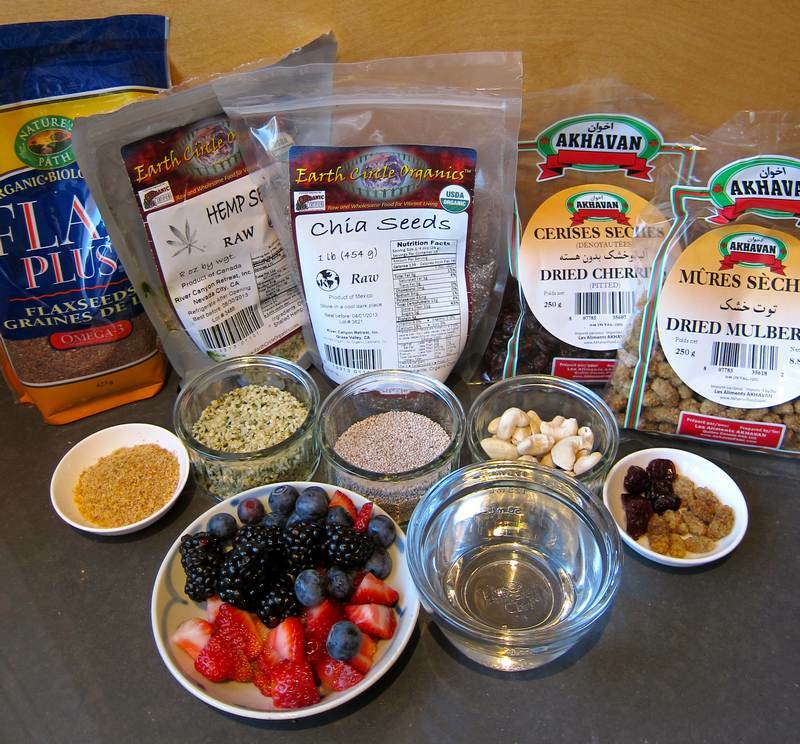 Check out Honest to Goodness, Simply Raw and Living Earth Beauty for a few more takes on Chia Seed Porridge. You can replace hemp milk with almond or regular milk. Other dried fruits to try include dates, figs, apricots or the very tasty, nutritious goji berries. Read the latest about the nutritional benefits of Chia Seeds. Looks interesting and is worth a try from the usual boring breakfast. Let me know how it goes. Bet you’ll feel great. Oh joy!!! Love having a growing blog. Thanks for the confidence. Thank you Margaret. Looking forward to more good healthy recipes. looking forward to adopting this new breakfast idea! I’m still loving it! Gotta stock up on hemp seeds. My sister told me to try sesame milk- maybe a tablespoon of sesame to 1 cup of water. Supposedly very calcium rich. Who knew?